One of the fondest memories I have of time spent with my mother is of us singing along to Peter, Paul and Mary’s rendition of “Leaving on a Jet Plane” on the car radio as we drove, the windows down and our hair blowing in the wind. I was a teenager then. Today, as I ponder the fun and carefree lifestyle of that other time, it reminds me of how important it is to live life in the moment. A nearly two-year battle with pancreatic cancer ended for my mother on May 6, 2011. This past winter, during my parents’ annual southerly migration as proud snowbirds to Seagrove, Florida, my mother was rushed to the emergency room at Sacred Heart Hospital in Miramar Beach. The cancer had reared its ugly head again; there was little hope for recovery. My mother knew that she and my father needed to return to their home in Massachusetts. The only problem was that she was too weak to contend with the usual burdens and hurdles associated with commercial flight today. Plagued with worry and grief, my family knew that it was her dying wish to make it home, and Mom looked really nervous about whether she’d get there. Determined, she tried to muster the strength to give it a try, but I think Mom knew that even her perseverance would not carry her far enough this time. It was a Wednesday, and seeing my mother worry was just too much to bear. She had to get home, and time was of the essence. The only option left was to fly her privately—our hunt for a charter flight began. By chance, our client and friend, George Solomon, owner of Southern Theatres, LLC, called to see how my mother was feeling that day, as he periodically did. I let him know what was happening. He said that he couldn't make any promises but would see what he could do to help. Meanwhile, the search for alternate transportation continued; using tips from friends in the area, we made phone call after phone call. This issue is dedicated to Marie Ryan (1938-2011). 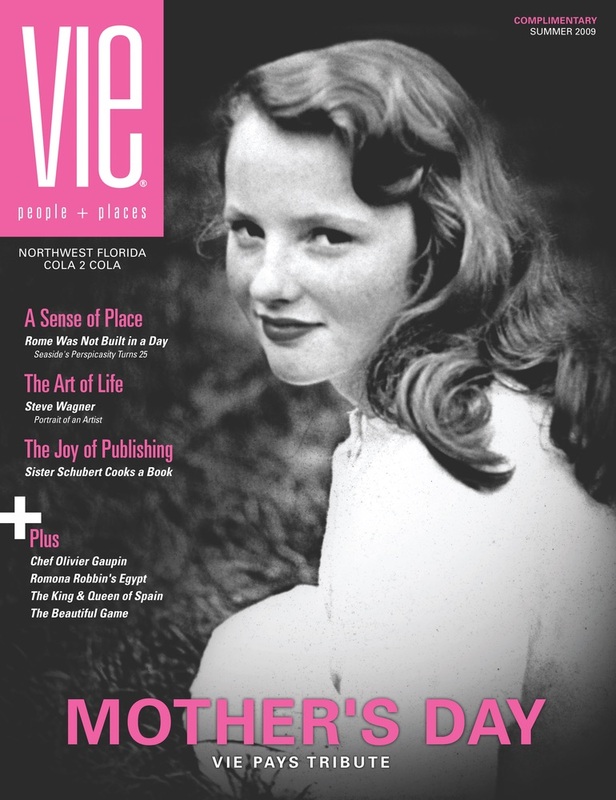 Marie Ryan was a contributing writer and cover girl for VIE's Mother's Day Issue Summer 2009. The cover photo of Marie was taken when she was just fifteen. Going into the late hours of Wednesday night, we still had not been able to find a plane and the family was losing faith that anything could be done. Suddenly, a text came in from George. Within seven hours of his initial call to me, he had arranged for a plane to take my parents home; they could leave in the morning. When my parents learned that they’d be flying home in a private jet the next day, their eyes lit up and big smiles appeared. In such a sad and scary time, with so many unknowns lying ahead, the news was a breath of fresh air. The following day, the flight to Boston went without incident. It seemed like the weather was custom ordered just for the flight—the sun shone brilliantly and the flight was silky smooth; not once did the plane bump from turbulence. Even with medical paraphernalia stuck and strapped to her body, Mom thought she was being treated like a movie star. Upon landing at Logan Airport, we were met by my sister; she would take Mom straight to the hospital. Kindness is a beautiful word. Just the sound of it soothes the soul. We are all so busy with our own lives nowadays and, maybe because of time constraints and stress, it seems harder and harder to go the extra mile for others in need, especially someone not in our own circle of family and friends. When people do go out of their way—making an effort when it’s not their responsibility—it is the most remarkable kindness of all. As a result of George’s kindness, my parents felt special, loved, and comforted. They thought it was an over-the-top act of kindness—and it was. And thanks to George, Mom was able to spend her last days in the comfort and familiar surroundings of home, where she could say her final good-byes to friends and family. For his kindness, George Solomon’s name is revered in our household. I remember those times in the car with Mom like they were yesterday. Until we meet again, Mom! You can’t know what you don’t know . . . you know? !